Cake Pop Maker - What's Goin' On In The Kitchen? 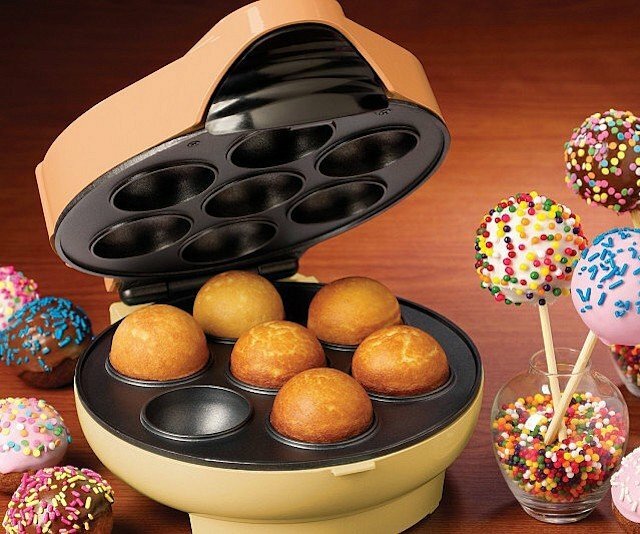 This awesome Cake Pop Maker makes up to seven cake pops, donut holes and muffins in under seven minutes. This non-stick coated appliance give you all the tasty goodness without the unhealthy frying that normally comes with making cake pops and donut holes. The kit includes 25 bamboo cake pop sticks, along with fun recipes for donuts, muffins, brownies and more. Look here to see some of the other cool kitchen appliances I found from around the internet.